Eldridge’s presentation of “Own Who You Are” will take you into his childhood where you will see how the challenges, adversities, and tragedies he faced so publicly early on in his life shaped and took him on a journey that would land him in prison by the age of 18. You will see how he then took those same challenges, adversities and tragedies later in his life and how he shaped and leveraged them to work for him and others on the platform he has now. In this presentation Eldridge’ will also challenge you not only to own who you are and your own story, but to also own your influence. He will also share his message that leadership is not a choice, that the only choice in leadership is how you lead not if you lead. Transformation—in a nutshell, that’s the core message of Eldridge J. Broussard aka Mr. Own Who You Are, International Author/Speaker of the book The Challenge to Change. His own transformation took him on a journey from being a ward of the State of Oregon’s foster care system, to its juvenile justice system, and to the Oregon State Correctional System, ultimately to becoming a respected community leader and business professional, sought out for his potent public presentations. 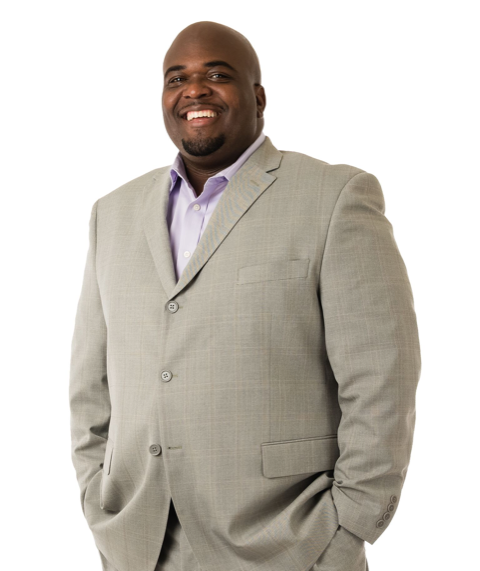 Today, Eldridge is passionate about spreading his message of personal transformation. He especially challenges you to “Own Who You Are” while deeply exploring your relationships, starting with the most important one, the relationship with yourself. Eldridge’s compelling and practical insights empowers individuals to reach new levels of success, while equipping and inspiring individuals to make positive long-lasting character and life changes. El and his beautiful wife, Alicia, live in Portland, Oregon, with their two sons, DaLontae and EJ. Working in Property Maintenance is a challenging and rewarding career. For the new Maintenance Person, it may seem a bit overwhelming at first, especially without an experienced supervisor or mentor. From day-to-day work orders, to time management, to Turnover processes, there are countless techniques, procedures, and rules that you won’t find in any manual or guide. In this class, we’ll discuss many of these “unwritten” rules and processes. Also, we’ll address the skills required, the resources available, and a variety of techniques for the new Maintenance Technician, as well as skills for identifying many of the “trap-doors” in Property Management and how to avoid them. How to develop a good reputation with your residents by keeping them in the loop of current activities. This class focuses on defining CPTED, the environment and who your different users are. The bulk of the presentation will focus on the four CPTED concepts of: Natural Surveillance, Natural Access Control, Territorial Reinforcement and Maintenance. We will also touch on vegetation, fencing and lighting. Joe Squires, Squires Electric, Inc. This class is intended to inform maintenance personnel on how to help vendors give the most accurate, timely and cost effective service, budgets and proposals for your property. We will supply you with a tool to better organize every aspect of your property from build to remodel and everything in between. Is this a reoccurring problem? Do you have a property book? How to screen a contractor? Compliance Depot / Net Vendor Approved? Have you identified the root cause of your issue/need? Is access into the apartment or the area to be addressed needed? Do you need to give 24 hour notice? What response time do you require? Are there safety issues to be considered? What you should expect from a contractor. How to start out your day with your team and manager and to expect the unexpected. Clint Arp, J.R. Johnson, Inc. Ever wish you could see into the future to avoid trouble BEFORE it happens? We can help! Join Clint Arp, President and Owner of J.R. Johnson, LLC, as he shows you how to predict problems with your building before they become an expensive and troublesome issue to you, your manager, and your owners. This class will cover preventative maintenance hot spots to look out for on your properties including water intrusion, gutter maintenance, dryer maintenance and more! Paul Jordan, Cascade Management, Inc.
“The I in Team” is a presentation about how “team” came to replace “department”. It looks at the “Hawthorne Effect” briefly and then presents what characteristics make good leaders, teams, what vendors look for, what tears teams apart.